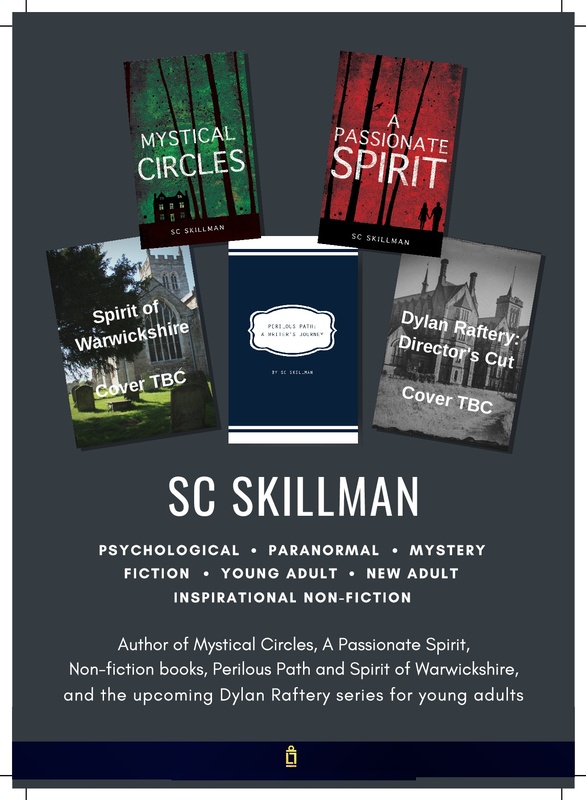 On 4th September, on the fourth day of my Mystical Circles blog tour, blogger Susan Hampson hosted a guest post from me on her blog Books From Dusk till Dawn. In books on the craft of writing fiction, one of the key areas to which a writer must pay attention is high emotional charge. And if the new writer is in doubt about whose point of view to take – in other words, whose story is this? – the main question to ask is, Who has the highest emotional stakes in the outcome of the plot? I’ve also read that when the author is building conflict into the plot, and setting up a protagonist and an antagonist / villain, a sure way to increase depth and high emotional stakes is to make the antagonist / villain a close family member. When we write fiction we all draw upon our own life experiences. And for many of us, our greatest challenge in life, after the challenge of self-knowledge, is how we handle our closest relationships. In my psychological suspense novel Mystical Circles I drew upon my observations and personal experiences of many people and relationships throughout my life. But family relationships do rank highly; father and son; two sisters; two twin brothers; mother and son. I have of course transposed real relationships into fictional situations. When we use real people to create fictional characters the wisest strategy is to employ a composite of different individuals within one person. So we can never say, this character is based on X or Y whom I know personally. But the fact remains that some fictional characters do contain a greater proportion of certain individuals. I have drawn upon those for whom I have a strong affection and also those whom I’ve found challenging. But beyond all this I think it’s true to say that there’s probably a little bit of me in all the characters. One of the greatest joys of reading fiction is to enter into the heart and mind of someone else to share their joys and sorrows, and to understand how they think. How can this be so unless the writer incorporates part of their own psyche into those characters? I know this is certainly true for Mystical Circles. I also believe this principle applies to the creation of a villain, who in order to be compelling, must be a complex mixture of influences, memories, desires, wounds, compulsions, longings and choices. In life often the ultimate villain is hidden, shadowy, the manipulator behind the scenes. And so it is in Mystical Circles. I’ll leave my readers to work out who that might be, but hope that this particular plot-spoiler will never appear in the reviews!